Opioid use is not associated with an increased risk of Alzheimer's disease, shows a recent study from the University of Eastern Finland. Researchers did not find any risk neither for long-term use nor for higher cumulative doses. Opioids are powerful pain relieving drugs that act on the nervous system. Published in Pain Medicine, the study is the most extensive one conducted on the topic so far. A previous study from the U.S. reported an association between high cumulative doses of opioids and an increased risk of dementia, but the Finnish study does not confirm this finding. 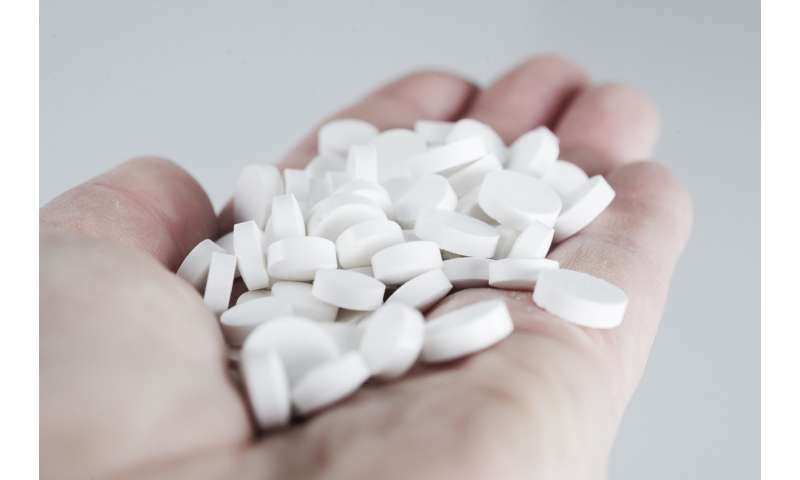 However, several adverse effects are related to opioid use, such as drowsiness and reduced alertness, and for this reason, opioid use should be restricted to the most severe pain conditions only. Opioid use may also lead to addiction or tolerance to pain-relieving effects. Opioid use was compared between Finnish persons with Alzheimer's disease and control subjects without the disease. The study was part of the nationwide register-based MEDALZ study and included 70,718 persons diagnosed with Alzheimer's disease in Finland during 2005-2011, as well as 282,862 control subjects.